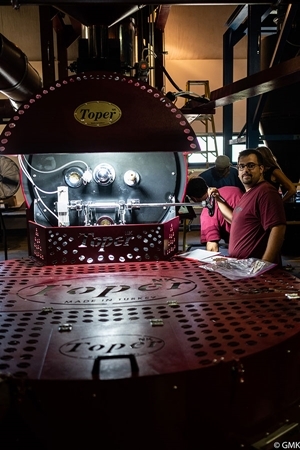 Toper, among the world's largest coffee processing machine producers, installed Coffee processing plant in California Mule Creek Prison, Sacramento, USA. The project is aimed at recruiting and rehabilitating prisoners in the American government's social responsibility Project. Toper was specifically chosen by American authorities. It was a difficult project from planning, production and installation. The system consists of coffee roasting machines, roller mills, stone separators and full automation system. A technical team consisting of 4-person from Turkey, lived with prison inmates for a 10 day period. They go to prison every morning and go out in the evening. He founded the facility together with the prisoner's technical staff and prisoners. They were trained by a Turkish technical team. Trial production was done. Sample coffee was tested. They drank the coffee that have just have been produced. The plant will produce 4000 kg of coffee a day.